Pick& Pack for iPhone displays a list of items for an order based on your location in the store. Items closer to you are listed first. If the product’s location is needed, the map displays where to find it. This technology creates the quickest, most efficient delivery of items to the staging area for shipment. During the picking process, you can scan an item’s bar code to your iPhone for visual validation, detailed product information, recommended accessories, and potential substitutions. 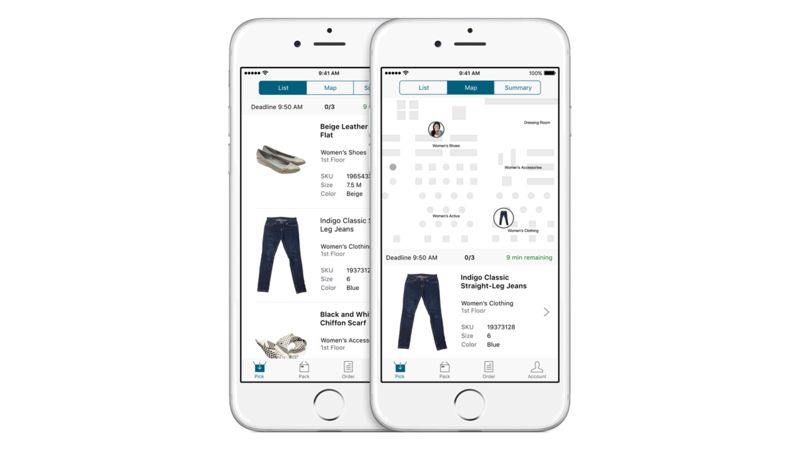 The app allows you to quickly locate inventory in the store or across the entire retailer system to reduce missed sales opportunities, delight shoppers and improve your productivity.